Today, more than 700 parents of transgender children sent a letter to Secretary of Education Betsy DeVos condemning her failure to protect transgender students and calling on her to recognize the basic human and civil rights of transgender young people in our nation’s schools. The letter, signed by parents from 47 states and Washington, D.C., was organized by the Human Rights Campaign (HRC), the nation’s largest lesbian, gay, bisexual, transgender and queer (LGBTQ) civil rights organization, and its Parents for Transgender Equality Council, a coalition of the nation’s leading parent-advocates working for equality and fairness for transgender people. DeVos’s tenure has been marred from her first days as secretary by repeated attempts to undermine the rights of transgender students. 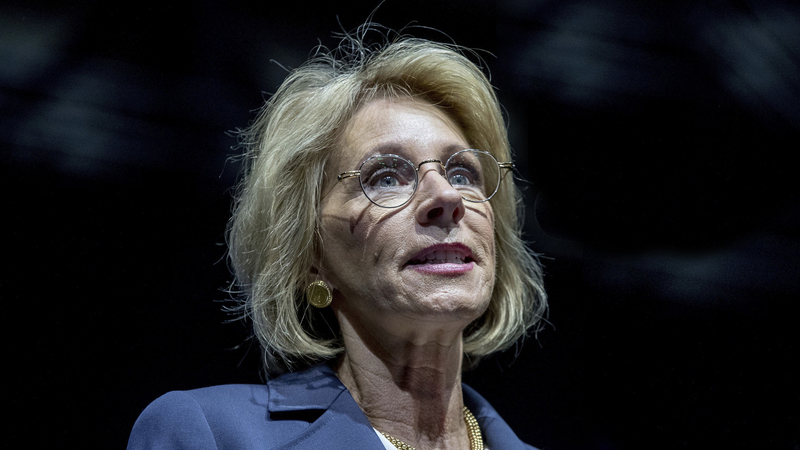 Just weeks after assuming her duties, DeVos and the Department of Education joined with Donald Trump and U.S. Department of Justice officials in rescinding lifesaving guidance promoting the protection of transgender students. Reports recently surfaced that her department’s Office for Civil Rights is also turning away transgender students and their families who have filed discrimination complaints under Title IX of the Education Amendments of 1972. A groundbreaking new survey by HRC and the University of Connecticut of more than 12,000 LGBTQ youth found that 50 percent of transgender, non-binary or otherwise non-cisgender youth never use the restroom in school because they are prevented from using facilities that align with their gender identity. Only 18 percent report that they are always referred to with the correct pronouns at school, and only 30 percent are able to completely dress and express themselves in a way that matches their gender identity. Last year, when the Trump-Pence Administration rescinded lifesaving guidance promoting the protection of transgender students, HRC’s Parents for Transgender Equality council sent a letter to the administration from more than a thousand parents demanding that the Obama-era guidance be preserved. To read the full letter released today, click here.